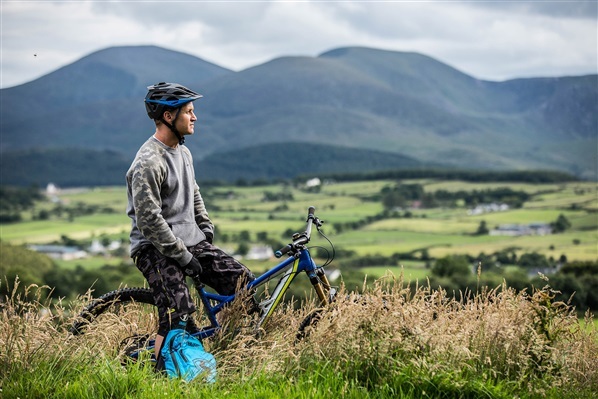 Following the publication of an article on the BBC which spoke of the huge benefits mountain biking can have for your mental health, MountainBikeNI wanted to delve a little deeper into the many potential benefits of the sport we love. The stats on mental health can be quite scary. One in four people will experience a mental health condition at some stage in their life, and if anything, those figures are slightly higher in Northern Ireland than elsewhere in the UK. One of the most commonly identified ways in which mountain biking improves mental health is by providing an outlet for stress. This was a recurring theme amongst MountainBikeNI followers, who contacted us in their dozens to agree with the findings. One rider wrote about how mountain biking was a healing factor for him as he and his partner go through their first round of IVF. The social side of mountain biking can be just as important as the physical benefits. Making friends can be difficult as an adult as most people don’t even know where to begin. In the world of mountain biking it is relatively straightforward. Meet someone once or twice on your local trails and the next thing you know you’ve been added into a message group of 40 likeminded people probably in a similar situation – just looking for someone to ride with. Don’t be under the assumption that everyone in that group is a high flying, super shredding DH or EWS champion. In reality, they’re likely in the same boat as you. You can also begin to meet other mountain bikers by joining the MountainBikeNI Trails Team, sponsored by Chain Reaction Cycles. This group meets up a few times a year to help with trail maintenance and litter picking. 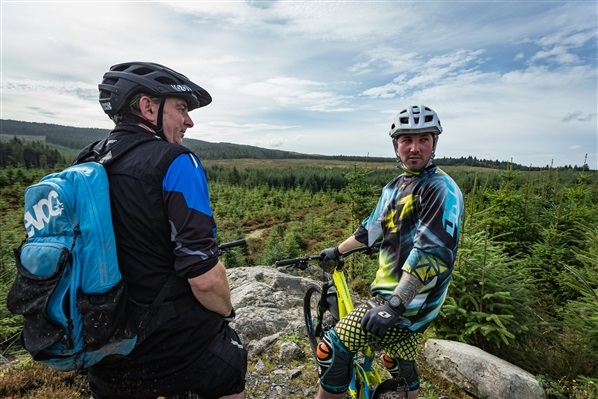 If you need help making that first step into mountain biking, one great resource can be found in the organisation Mind Your Mate and Yourself, formally known as PIPS. 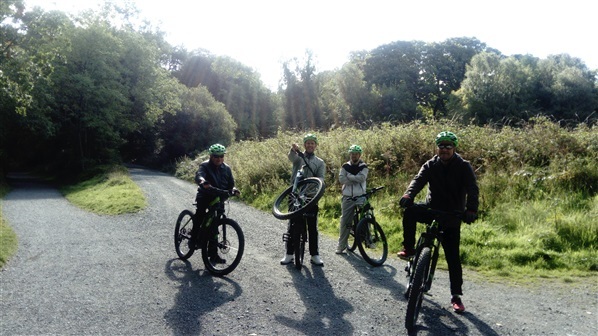 They organise a men’s group to ride the Castlewellan Mountain Bike Trails every Wednesday. If you'd like to join, simply turn up at Life Adventure Centre in Castlewellan at 9:30am any week. A Ladies group will also be starting at the end of May. For more information on this, follow their Facebook Page. Some of those who attend the group told MountainBikeNI how beneficial it was. "It gives structure to my week... gets me out, breathing fresh air, burning fat and gaining muscle." "Keeps me from becoming isolated". - Lifeline (excellent for a listening ear and advice. They can signpost you to appropriate agencies and / or provide free counselling sessions). We would like to thank Eamonn Duffy for his invaluable input, Jill and all the team at Mind Your Mate and Yourself, as well all the mountain bikers who wrote to us to tell us their stories. Also to the team at Arc Fitness, dedicated to addiction recovery through fitness coaching. If you would like to create a MTB group or find one in your area, you can visit MountainBikeNI or contact us and we’ll assist you with connecting with others. Hardest thing about Mountain Biking? Definitely the trees.